Following the first instalment, here’s another list of interesting running-related articles I’ve come across recently, in between overdoses of the grumpy cat and the Ikea monkey memes. Some days are just way too busy for me to even consider lacing up my running shoes. Surely I’m doing something wrong, especially if it’s true that Ron Hill has been running at least a mile a day since December 20, 1964. That’s a whole lotta running. Andrew Murray ran 7 ultra-marathons in 7 continents in less than 7 days. Is this some sort of conspiracy to make me feel guilty about having stayed in bed this morning? Total Sport founder Aaron Carter spoke to the New Zealand Herald about the tough road to organising running events. An interesw Zealand. The Washington Post wonders what it would be like if Disney’s Sleeping Beauty was a runner. Your daily dose of goosebumps is courtesy of Debbie Heald (via Fit and Feminist’s Facebook page). Did I miss anything good? The internet is kind of big and, in between work, bathroom breaks and a few hours of sleep, there may have been something I missed. Fill me in! 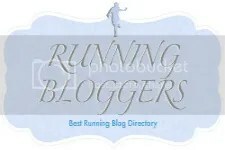 Categories: running, running on the web | Tags: andrew murray, debbie heald, disney, fitness, healthy-living, new zealand, ron hill, runners world, running, sports, total sport | Permalink.